Though it should be needless to say electronic dance music never has gone away, forever mutating and evolving in sometimes rewarding and sometimes redundant ways, these sounds haven’t been such a focus for the corporate music industry since the late ’90s, when they bubbled up from raves to draw the attention of optimistic major-label execs who expected the likes of Aphex Twin, Orbital and Moby to become “the next big thing” as alternative rock waned. Only Moby got there, sort of, and more in an O Brother Where Art Thou?/soccer-mom way than as any true reflection of underground dance culture. Now, “EDM” is once again drawing the big-time culture sharks—witness this front-page canonization in the music-biz Bible, Billboard—and we’re seeing artists like Deadmau5 and Corey Feldman lookalike Skrillex all too eager to be their chum, headlining big-money festivals and posing and preening on the red carpet at the Grammys. 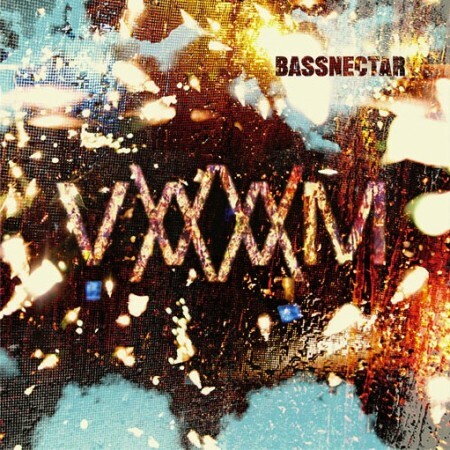 Ethically, culturally and most important, musically, Bassnectar is a welcome alternative, and his new self-released Vava Voom, the ninth full album amid a flurry of EPs and singles in a prolific career dating back to 2001, is an impressive example of a talented visionary drawing connections to the genre’s past while breaking ground for the future. There is much more to this guy than the spleen-rattling bottom end so beloved of many of his peers and hinted at in his own stage name. From his hazy roots at Burning Man, San Francisco-based Lorin Ashton has become one of the biggest stars in EDM, a touring juggernaut who has made enough money from ticket sales to dedicated “Bassheads” to donate a quarter of a million dollars to charities supporting public education and Net neutrality, on top of traveling with his own state-of-the-art sound system and compassionate security team to assure fans the best experience possible (though the only time he’s made an issue of the latter was during a recent return to the troubled Congress Theater). But his biggest strengths are a wicked sense of humor and a wide-ranging and inventive sonic palette unequaled in this field since the devilish Richard D. James, coupled with a flair for dramatic dynamics and killer riffs and melodies that underscore his earliest musical days as a stone cold metalhead. If on first listen the 11 tracks on Vava Voom sound so diverse that you’re tempted to think they’re the work of different artists—flirting with dub, garage, hip-hop and punk amid the pounding rhythms and gurgling electronics—the ebb and flow of the album begin to make much more sense as you live with it, allowing Ashton to take you on a thrilling rollercoaster ride. From the pulsating, high-energy peaks of “Ping Pong,” “Ugly,” the Blade Runner punk of “Pennywise Tribute” (a reimagining of that band’s “Bro Hymn”) and the Lupe Fiasco-enhanced title track, to the beautiful, lulling, chill-out valleys of “Butterfly” (with gorgeous vocals by Mimi Page), “Nothing Has Been Broken” and “Laughter Crescendo” (a giddy and unforgettable new version of a track from 2005), this is a breakneck trip guaranteed to thrill even if you’d never be caught dead gyrating under the phosphorescent strobes.